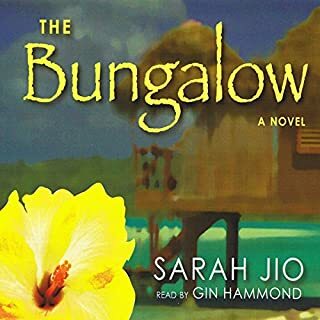 In the summer of 1942, 21 year-old Anne Calloway, newly engaged, sets off to serve in the Army Nurse Corps on the Pacific island of Bora Bora. More exhilarated by the adventure of a lifetime than she ever was by her predictable fiance, she is drawn to a mysterious soldier named Westry, and their friendship soon blossoms into hues as deep as the hibiscus flowers native to the island. For a thousand years her existence has been denied. She is the legend that will not die - Pope Joan, the ninth-century woman who disguised herself as a man and rose to become the only female ever to sit on the throne of St. Peter. Now in this riveting novel, Donna Woolfolk Cross paints a sweeping portrait of an unforgettable heroine who struggles against restrictions her soul cannot accept. The New York Times best-selling author of Blackberry Winter imagines the inspiration for Goodnight Moon. June Andersen is professionally successful, but her personal life is marred by unhappiness. Unexpectedly, she is called to settle her great-aunt Ruby's estate and determine the fate of Bluebird Books, the children's bookstore Ruby founded in the 1940s. Amid the store's papers, June stumbles upon letters between her great-aunt and the late Margaret Wise Brown - and steps into the pages of American literature. 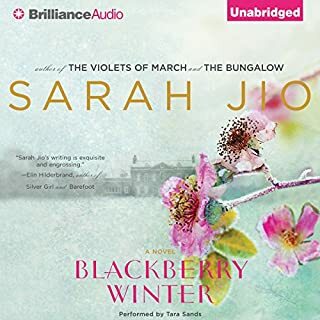 ©2014 Sarah Jio (P)2014 Blackstone Audio, Inc.
Goodnight June was a nice, light novel that I enjoyed in between some more serious books recently. Mixed in to the story are letters (fictional) between June's aunt and Margaret Wise Brown, the author of Goodnight Moon, the beloved children's book. That gave the story an interesting twist, and the book it's title. I also liked the narrator--she does an excellent job! Overall, I enjoyed, and recommend for a sweet, easy listen. I would recommend to a friend. Good story, easy reading and enjoyable subject. I enjoy Sara Jio as her writings are usually light and I can sit in my reading corner or take my daily walks and listen. Sara Jio transitions smoothly from the main characters to the letter being discovered. I loved the letter format of the Aunt and her friend in NY. No. The voice did not match the characters in the story and it sounded as if she were reading a boring classic. The main character sounded as if she were 75 rather than 35 and the narrator totally ruined the story for me and I finally went out and bought a copy of the book. Was Goodnight June worth the listening time? No since I had to buy the book to complete the book. I have listened to many books and have never had to buy a book to finish it as the narrator was so out of sync with the characters and the book. 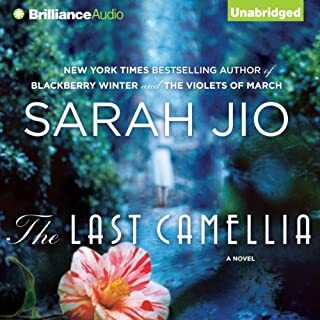 I enjoyed the story and the author and look forward to Sara's next book but I have finally put a narrator on a list to make sure I don't get another book with her as narrator. enjoyed the storyline and themes. found the plot awfully predictable. sometimes predictable is good therapy so if that is what you need, this is good option. A better story in print for sure! The story seems trite and very predictable. I'm not sure the book is "meaty" enough for my book club as there is not much to discuss. The story seemed to plod along, and the author took forever to reveal the secrets of the main character, June. Not much really happened in the book, and I would have moved the plot along a little faster. The narrator sounded like a woman in her 70s rather than a woman in her 30s. Her voice was very matronly, and for many of the characters, it didn't even come close. I was tempted to take the book out from the library so that I won't have to listen anymore. I would not recommend the audible version of this book. I began the story hating the main character June. she was fairly unlikable but as the story progresses she changes. some aspects, I found a little odd or predictable. Some aspects of story made me tear up or be surprised. 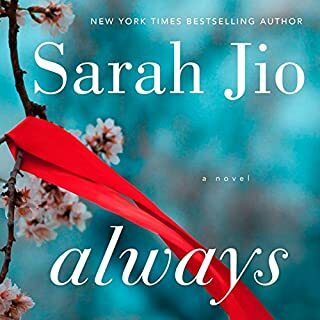 Sarah Jio usually delivers a great story. The narrator was way too old-sounding for most of the voices and not very much like a 30 year old. I found it bothersome. She did a pretty good job reading with proper inflection but just didn't sound like any 30-something I know. Would you ever listen to anything by Sarah Jio again? I loved her 1st book and eagerly anticipated this one. I'm not sure what happened here, but it's nothing like her 1st book. The story was very predictable and frankly silly, whereas her 1st book was insightful. It was overly dramatic and the voices did not sound like I envisioned the characters. 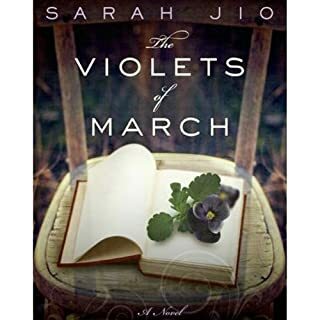 I am a very big fan of Sarah Jio's books, this one was right up there with Blackberry Winter! I wasn't sure I was going to like this one when it first started just because all the pieces took a little time coming together. The ending was not disappointing! If you could sum up Goodnight June in three words, what would they be? 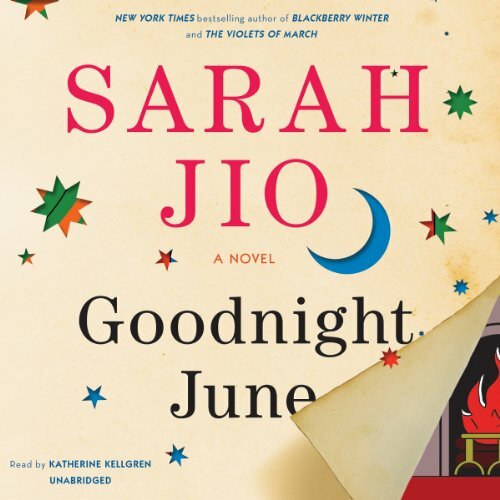 What other book might you compare Goodnight June to and why? Hard to say - it is a feel good book and interesting look at Goodnight Moon. It pulled on my heart strings! as the selection for August.. I was fascinated by the friendship between the owner of the store and the famous Children's book author Margaret Wise Brown. Through letters we got to know them well. Did not really like the voice of the narrator She sounded too old and did not do multiple voices well. I Wish she had a softer voice, she sounded too loud and raspy. But I liked the story so I tried to get used to the voice. 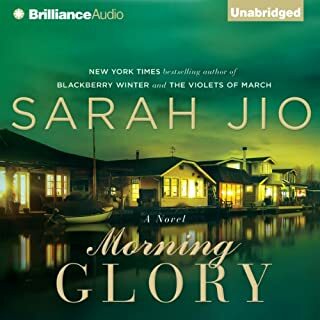 Will look for another by Sarah Jio but hope to see another narrator.